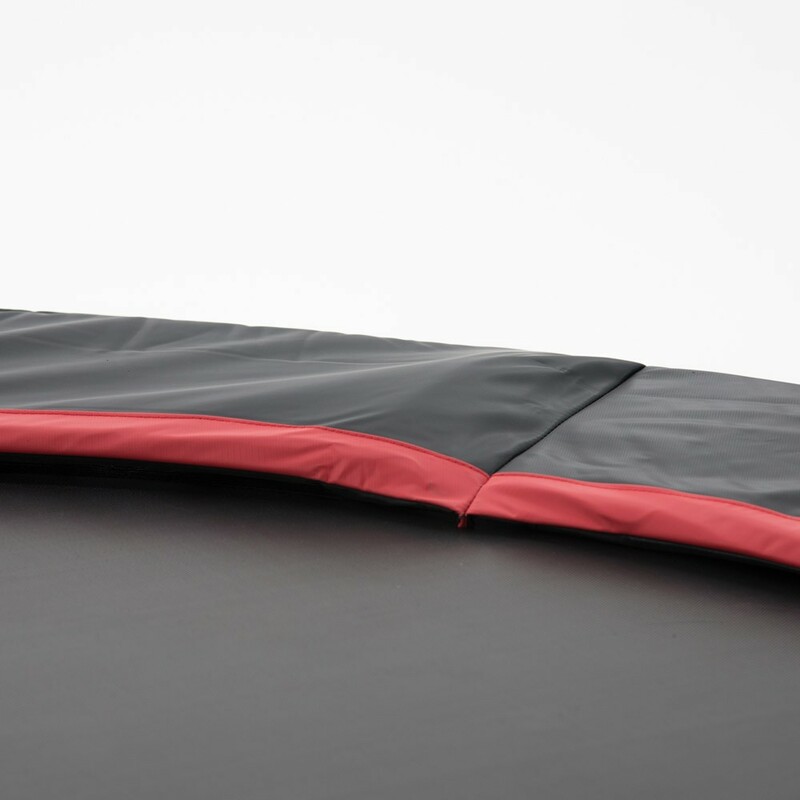 13ft black Booster 3.90 m trampoline for regular family use. 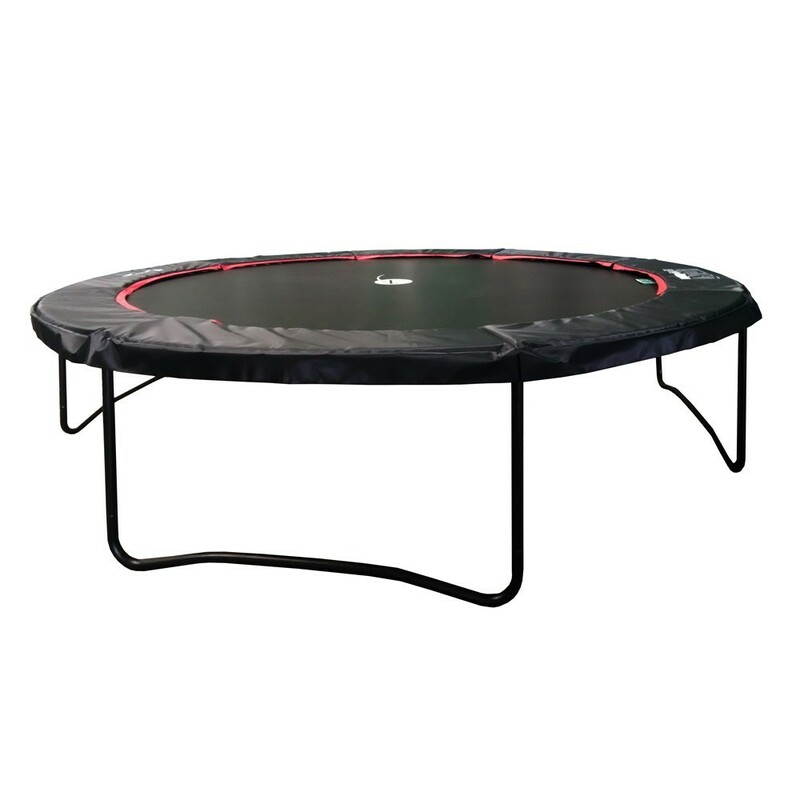 Sold without its safety enclosure, this round Booster 390 trampoline is designed to replace your former model if your former model's safety enclosure is still in good shape. 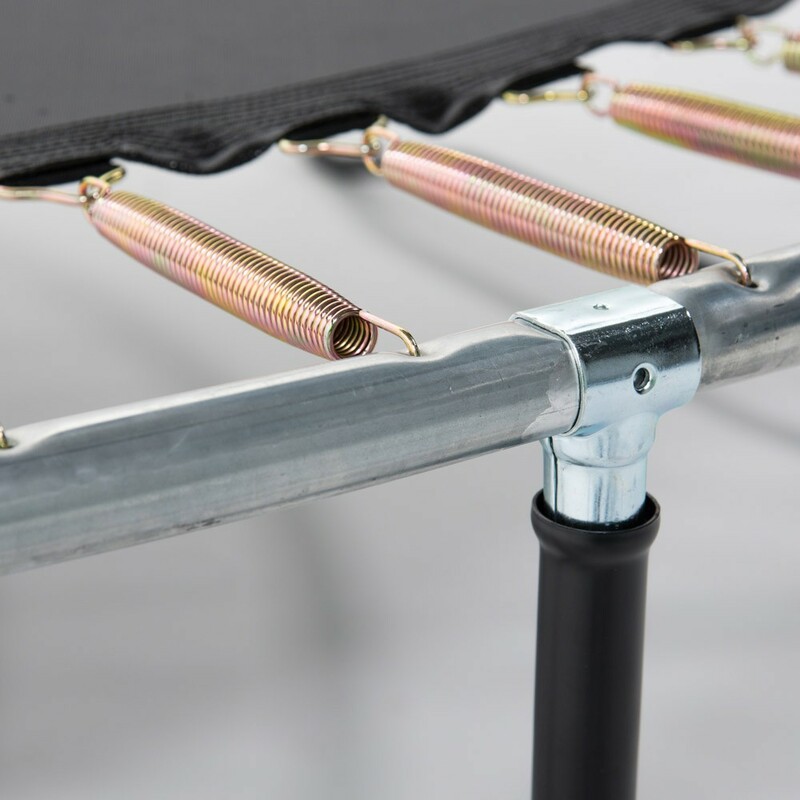 Its very dynamic jumping mat is held in place with long springs, to guarantee users very ample jumps. 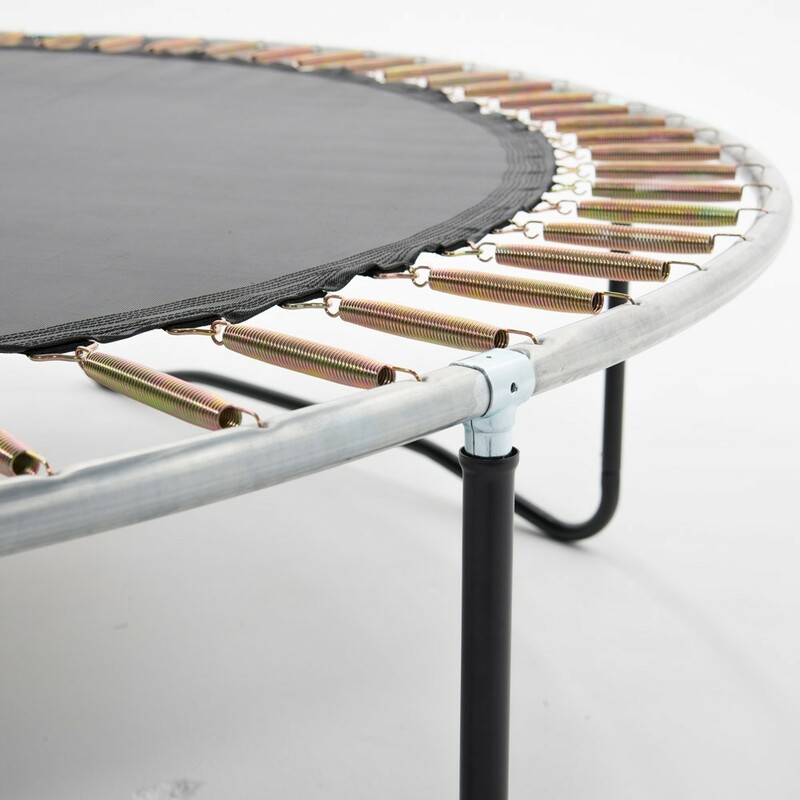 - This outdoor trampoline is equipped with long springs for high, dynamic jumps. It should be noted that the longer the springs, the higher the user can jump. 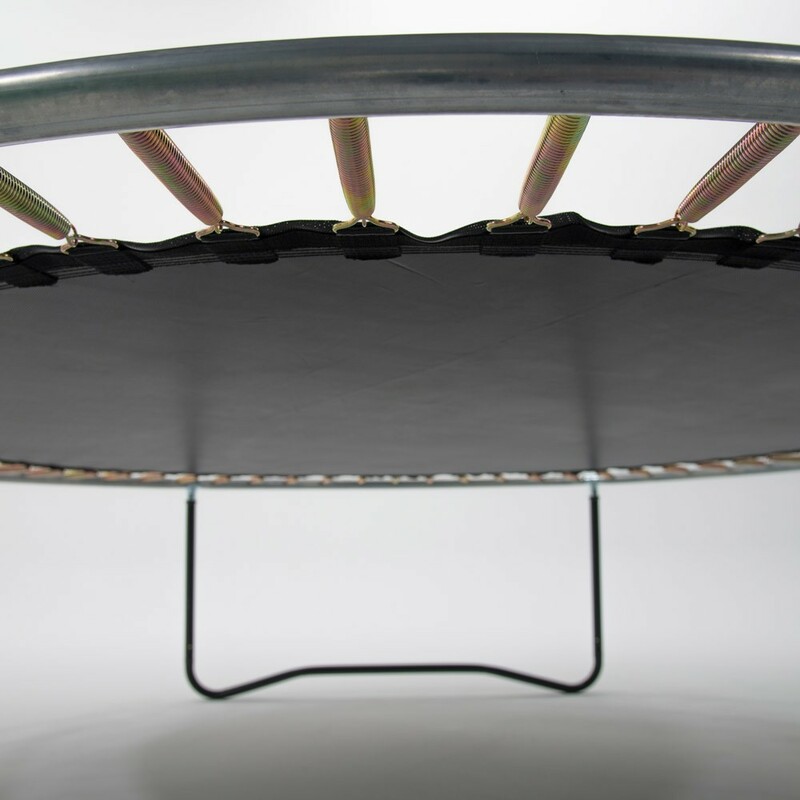 - The structure of the outdoor trampoline is designed to last. Its galvanized steel frame protects it from corrosion and harsh weather conditions. 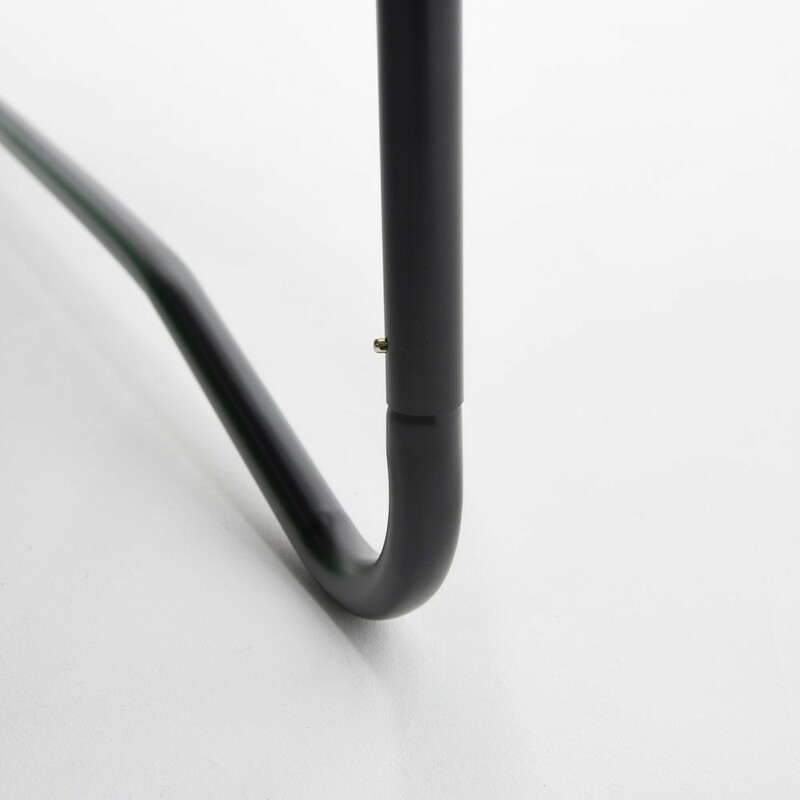 The frame is assembled with T-shaped junctions to avoid welding. 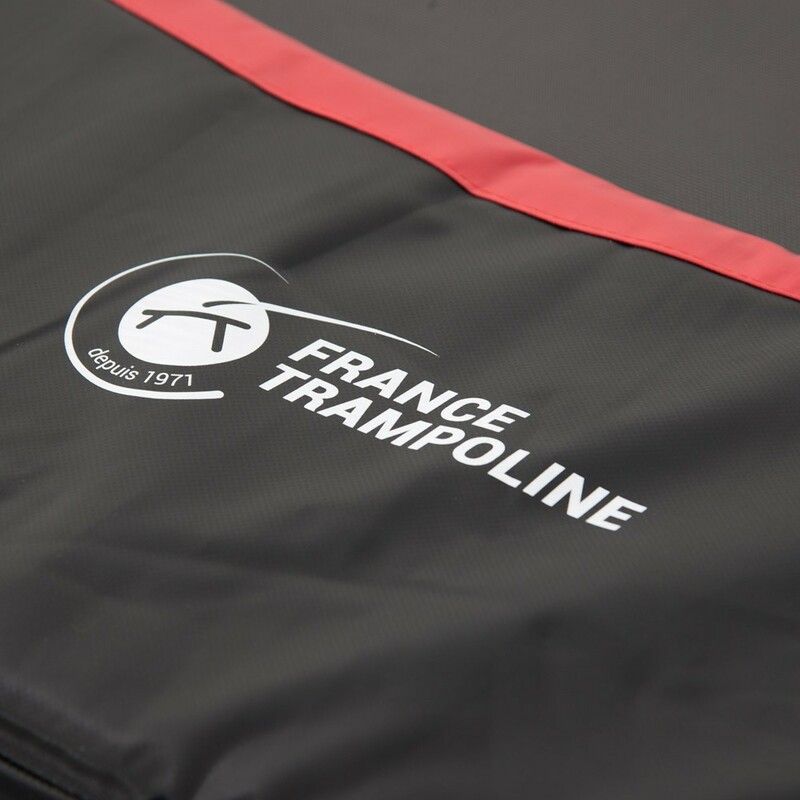 - The jumping mat is made of highly-resistant mesh, renforced by 8 rows of stitches around the outer edge, and is also equipped with a textile reinforcement strap sewn in underneath the mat for additional robustness. The mat is also UV-resistant to withstand strong sun rays over time. 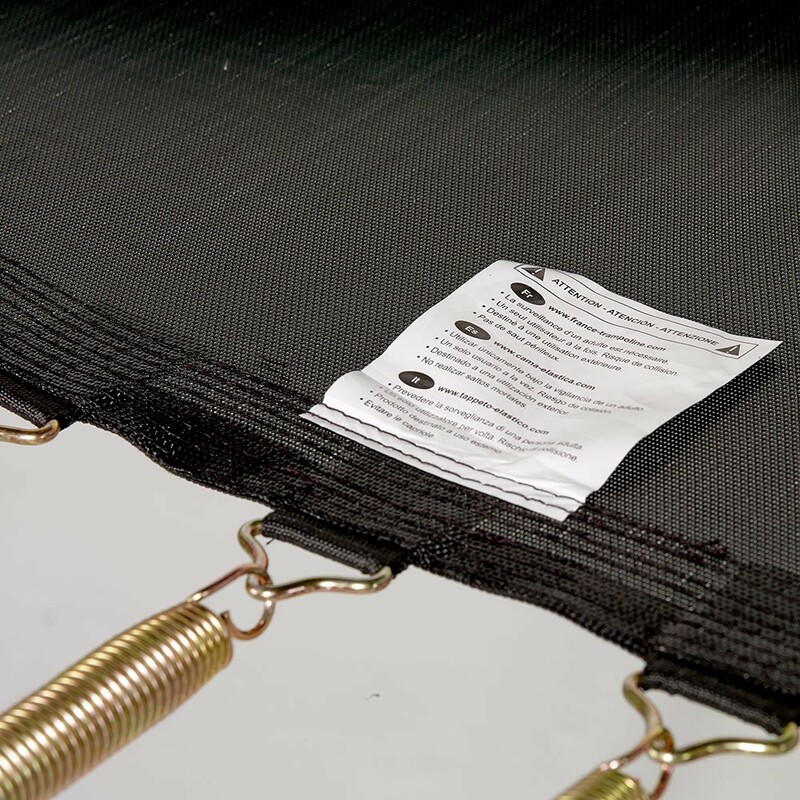 - The trampoline frame pad protects jumpers from landing on the springs or frame. Made of a single piece of thick foam, it is covered with a black, waterproof PVC sheath. Caution: check for compatibility with your current safety enclosure: same number of net posts (8), and a round trampoline measuring 396 cm in diameter.